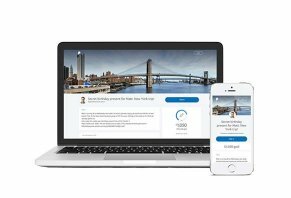 PayPal Money Pools is a savings tool launched in late 2017 that provides a way for friends and family to save money toward a common goal via a single savings pool within PayPal. PayPal Money Pools is a tool available to non-business PayPal customers who want a platform through which they can pool money together from friends and family to reach a savings goal. The service launched in November 2017 and brought with it some key differences between what it offered and what you’d get through a similar community-savings site or a crowdfunding site. What’s perhaps most unique about Money Pools is the simplicity of the entire concept, from how you create your pools to how you receive payments and then, once your goal is reached, how you transfer payments to your account. You have to be careful with simple platforms like this because you may assume that PayPal Money Pools does things that it doesn’t or provide services that it doesn’t. With all the crowdfunding websites and savings sites floating around the internet and app stores, you could easily confuse what Money Pools does with a crowdfunding site like GoFundMe. However, Money Pools isn’t a crowdfunding platform and it doesn’t follow the fee structure of Yahoo’s Tanda. Over the course of this review, we’re going to tell you exactly what this platform offers by doing an examination of how you sign up, how it works and what fees (if any) are involved in using it. Then, we’ll compare it to Tanda and GoFundMe. After our comparison, we’ll wrap up the review with our thoughts on the pros and cons of using this savings tool and we’ll give you our thoughts on who we think it’s good for. You have to be a PayPal customer in order to set up a Money Pool and you have to have a personal account (U.S. customers), or, according to PayPal, a premium account if you live in certain countries. Business customers cannot do Money Pools via their business account. To open a Money Pool, go to your PayPal account and click on the Money Pools option. From there, you can name the pool, add a background or banner photo for it, designate how payments are received (specific amount, any amount, etc.) and then add a description of what the Money Pool is for. You also have the option of setting a deadline for the pool. When the deadline passes, contributions won’t be accepted. However, you can extend the deadline via your pool management page. Once you have the pool set up – it takes about three minutes – it will appear on your account page along with a running total of how much money is in the pool. Contributions to your money pool come via friends and family; they don’t have to be PayPal customers to contribute. You, as the account holder, cannot contribute to the account, which is something you need to keep in mind. The fact that you can’t contribute to the pool makes this community-style savings platform different from Tanda, an app through which you and your group members make equal donations into one pot. Money Pools purpose is to provide a place where multiple people can put money into one pool that is then transferred to the pool’s creator. PayPal’s fine print says they may place a “hold” or a “reserve” on payments made to your Money Pool. These happen in specific situations, including out-of-the-ordinary transaction amounts and doing a transaction after not having used your account for a long time. Assuming your contributors are in good standing with PayPal or aren’t PayPal customers, there’s a good chance their money won’t be put on hold or reserve. Once your savings goal has been reached, you can transfer the money to your PayPal account. All of these transfers are free. When the money is in your PayPal account, you have two options for sending it to your checking. First, you can do an instant transfer to your debit card that costs 0.25% or you can send the money via ACH transfer, which will take one business day and is free. Pro tip: PayPal says you’re only allowed to use the money for the purpose which you state when you set up the Money Pool. The account can’t be used, for example, to receive payments for goods or services you provide. There are no fees for setting up a Money Pool or for transferring the money to your PayPal account and then doing an ACH transfer of the balance to your bank account. However, those who contribute to your Money Pool may be subject to the basic schedule of fees PayPal charges for transactions. Your contributors can expect to pay at least a 2.9% fee for sending money to your pool via a credit card or debit card, a fee which also applies to payments made via a mix of the contributor’s PayPal balance and a card. Also, you can expect fees to be assessed to your contributors if they’re making contributions via foreign currency, or vice versa. The fees for these transactions range from 0.5% of the transaction (sent from Japan) to 2% (sent from Germany). If the transaction is between a U.S. PayPal account to your account, then it will be free if the payer is using funds in his or her PayPal account. By now, you’ve got a good sense of what PayPal Money Pools are and aren’t. They are a way for friends and family to send you money you’ll use for a specific goal. It’s not a way to get payments from customers or to fundraise for those who want to make tax-deductible donations. Those two points are important because they’re the two aspects of this savings platform that make it different than Tanda or GoFundMe. Tanda is more structured and impersonal than PayPal’s Money Pools. The app operates by rounds, which means that everyone in your group contributes an equal amount of money on a schedule – say, every week. Each time a round of contributions has been made, one person is paid the sum of those contributions. Many of the groups have at least four people and are typically comprised of strangers. The first two people who cash out will pay an 8% and 7% fee, respectively, and the last person who cashes out gets a 2% bonus. So, Tanda makes 13% from every group. GoFundMe, on the other hand, is a fundraising platform that has more complex rules than Money Pools, mainly because you’re dealing with tax-deductible donations that carry with them certain IRS requirements. The goal of GoFundMe is to help someone – whether a company or an individual – get enough money to do something, whether it’s launching a new product or cover the cost of medical bills. Also, GoFundMe charges a combined 7.9% fee for every donation made and for withdrawals you make. Money Pools, on the other hand, can be used for all sorts of causes. It may be the fulcrum by which a group of friends saves money for a group vacation. Or, it could be a way for everyone to pay up for the past week’s happy hour. And, unless your contributors are paying with a credit or debit card, there are no fees. Based on our research of this savings platform, we believe Money Pools’ strengths are in its simplicity. Groups of friends or family members can save together for a common goal or simply to pay off a dinner they ate together or trip they all took in the past. The platform is familiar and pretty much universal, as PayPal had nearly 180 million U.S. users in 2016. Also, in our opinion, Money Pools has the advantage of not charging any fees, something that sets it apart from similar community savings apps/websites and fundraising sites. We’d say the main downside to the app is that the person who created the pool can’t contribute to it. So, if a friend starts one, gets all the money and the transfers it to his or her account, there’s no guarantee that they’ll pay their share if the pool was designed to get everyone to save for a future goal/event. In our opinion, PayPal Money Pools are best for groups of trustworthy friends or family who have PayPal balances and want to save for a goal in the future. Write a Review for PayPal Money Pools!